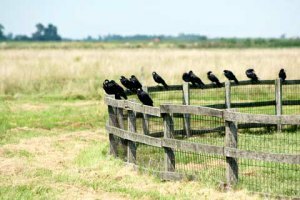 Thank you for taking comments on the proposed crow hunt. I am a resident of Southern Utah and oppose the hunt. I have read a sample letter that is being suggested for use in this correspondence. I agree with all the points in the letter, but I would like to add additional thoughts of my own. Utah crows need your help. Feeding horses near the Pyramids. 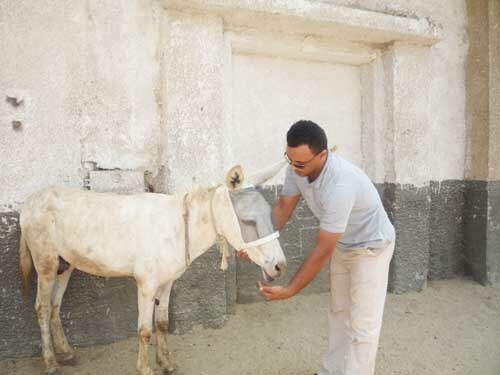 ESAF (the Egyptian Society of Animal Friends) continues their program of feeding and treating the Pyramids animals. These are horses, camels, and donkeys who would normally be giving rides to tourists – perhaps not a great life for the animals at the best of times. But during the times of unrest in Egypt, since 2011, when there have been almost no tourists, life has been tough for the owners, who often have no income and no way to care for their animals. 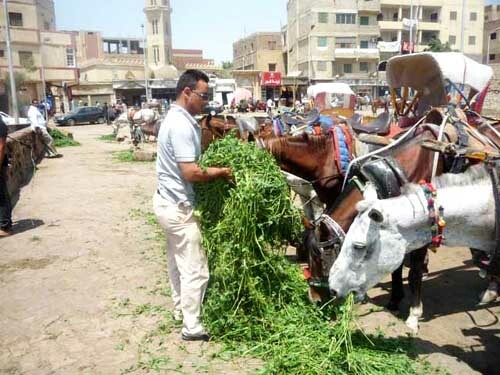 ESAF and other Egyptian animal groups have been stepping in to provide food and veterinary assistance to the animals. A donkey gets a fly mask and a treat. The camels, donkeys, and horses all need help. The camels tend to fare a bit better in difficult times since they are hardy desert animals, as are the donkeys; so it is especially the horses who need extra feeding and care. ESAF has expanded their work to more areas to reach more animals. The total number of animals fed and treated from February 1 through April 30 was 8,311. A horse being fitted with a fly mask. The working animals need on-going vet care – attention to their hooves and teeth, and care for wounds caused by saddles and by wire nose bands. 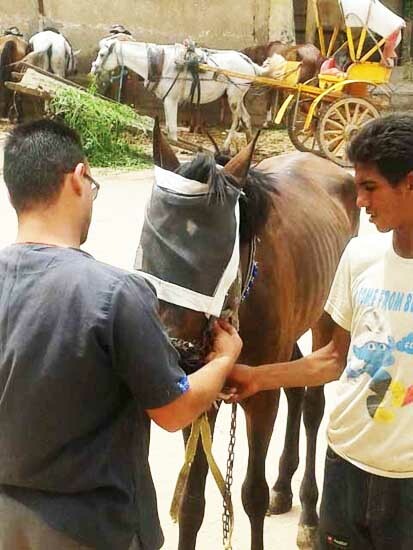 The ESAF vets care for the horses and donkeys, fitting them with fly masks to keep the flies away and with soft nose bands to replace the wire ones. 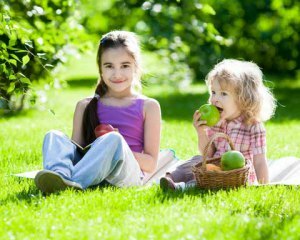 Beginning May 1, they added carrots and clover to give the animals more nutrition – which is a tasty treat too, welcomed by the animals. A vet examining a horse. Thanks to ESAF for faithfully feeding and giving vet care to the Pyramids animals. 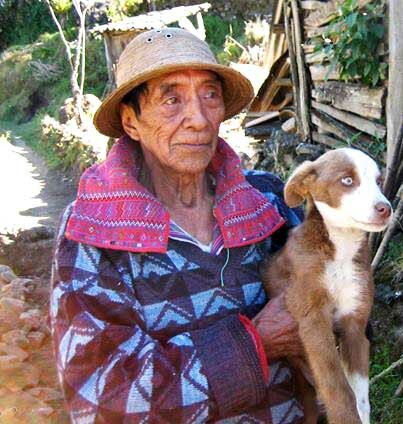 When an elderly Guatamalan man brought his young pup to be spayed, both looked hopeful, though a little apprehensive, but all went well. She sailed through the surgery with flying colors, and he was grateful that he won’t have to worry anytime in the future about having too many puppies to care for. SNIP works with many other animal organizations throughout Central America to get community dogs and cats spayed/neutered – or “snipped.” Carla Ferraro, SNIP’s Founder and Executive Director, has developed an amazing, highly successful program. Veterinarians are trained in the Small Incision Field Surgery Program, then they conduct low-cost spay/neuter clinics. The clinics benefit the vets too, since they gain new clients when the dogs and cats are brought back to them for vaccinations and any vet care that’s needed. One of the unique features of SNIP’S program is that their first step is to identify a few community leaders in every new city they go to. It only takes a few, very committed local people – then these leaders organize events and act as a bridge to the rest of the community – explaining what spay/neuter is and why it’s a great idea. With the help of volunteers, these community leaders set up spay/neuter clinics, raise funds, and make sure everything is running well for the benefit of the dogs and cats and their people. SNIP’s emphasis is on community animals living in low-income neighborhoods, where they often roam the streets. Dogs and cats may have one person who cares for them – or they may rely on several families to feed them and keep an eye on them. People want to do what’s best for their animals, but sometimes they’re not familiar with spay/neuter and its benefits in preventing a situation where there are too many animals to feed and care for – so explaining why it’s such a good idea is essential. Now, 30% of the community dogs and cats in Costa Rica have been spayed and neutered – and SNIP’s goal is to bring it up to 70%. 30% is already a huge leap forward – from a time not so long ago when spay/neuter was almost unheard of in many rural communities. And Costa Rica is already a no-kill nation! SNIP, working with local animal groups, conducts many clinics in Costa Rica and Panama. The recent clinic in Guatamala was a wonderful success, with many people bringing their animals. To visit SNIP’s website, click here. To visit SNIP’S Facebook page, click here. My first sighting of Indigo bunting, Blackburnian Warbler, photos and video on their way North, Woodslee, Ontario. Millions of tiny songbirds, many weighing less than an ounce, migrate thousands of miles from North America to Central and South America each year. How they do it has been somewhat of a mystery, but now scientists have discovered how far they take advantage of prevailing wind patterns to save calories. This video is called Wonderful World – Sea anemones. A deep-sea animal with tentacles more than six and a half feet long was once thought to be one of the world’s largest sea anemones, but has now been reclassified as belonging to a new order of animals and is not a sea anemone at all.